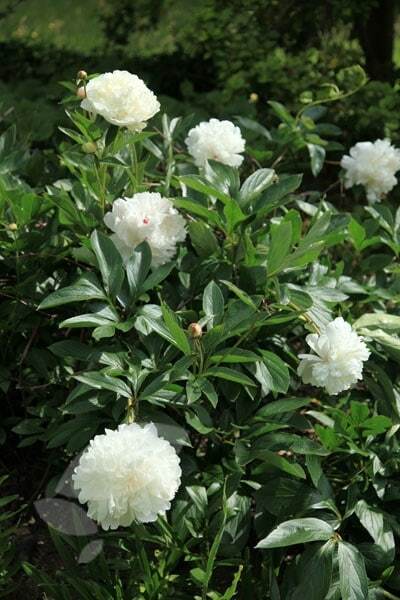 Exquisite, double flowers, that open with a pink blush, but quickly fade to creamy-white (while sometimes keeping a smattering of crimson flecks), appear from early to midsummer above the mid green leaves. One of the most popular old varieties, the enormous rose scented flowers are often more than 20cm across. Plant it close to a pathway or entrance, where the fabulous scent can be really appreciated. Garden care:Deadhead after flowering. In early spring apply a balanced slow-release fertiliser around the base of the plant and mulch with well-rotted compost or manure. Beautiful and fragrant with strong growth habit - needs support. Ideal for placing near doorways or paths. I purchased this one too late for it to flower but it grew well and was very healthy. Anticipating a good show in 2018. Gorgeous peony which has just started to flower (late May). I only ordered it a few months ago, so to have a couple of flowers in the first year is wonderful! Lovely, healthy plant and a great additional to my garden. I have planted this in a pot as I only have a small paved garden, but it is beautiful and was the most gorgeous flower. Hopefully it will carry on for many years. Decent growth and a few large flowers in first year. Little fragrance so far. Need to see how this develops next year. A fast growing, absolutely stunning, peony. Highly recommended.